Harbin is the capital city of Heilongjiang province in the northeastern region of People's Republic of China. Since Heilongjiang province is situated in the northern of China and near the border with Russia with the extreme cold winters, compared to other Chinese cities. 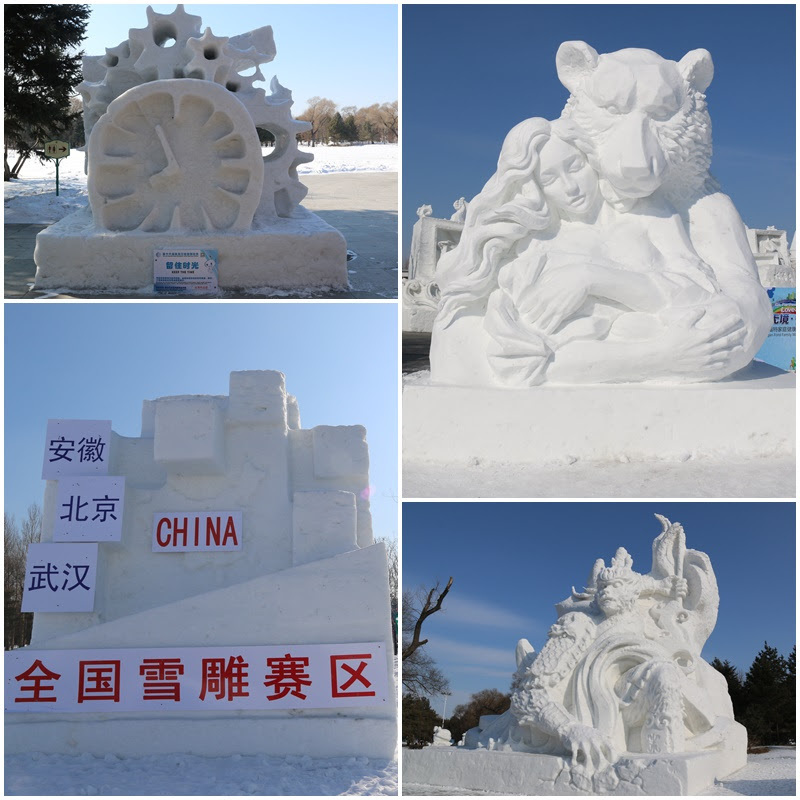 The local government of Heilongjiang province promotes Harbin city as the most beautiful Ice and Snow Sculpture Festival during the winter, between December to February yearly. Tourists from local and abroad travel to Harbin during the peak season of Winter season to visit and experience extremely cold weather at Ice and Snow Sculpture Exhibitions. 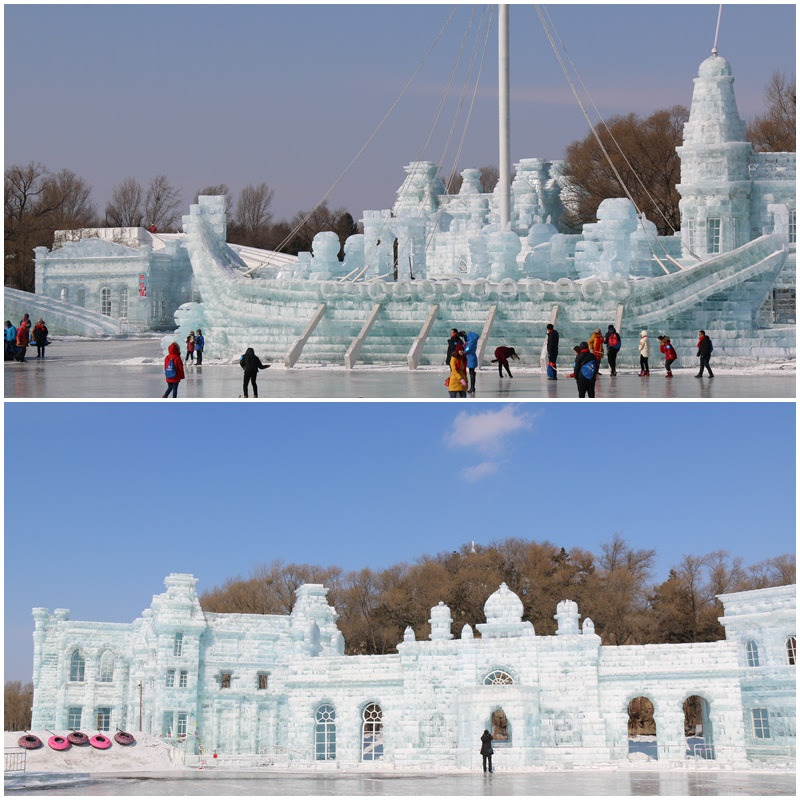 Both of Ice and Snow Sculpture Art Exhibitions are located nearby to each other, on an island, which is separated by a huge lake from Harbin downtown. It takes about 10-15 minutes by cab from Harbin downtown to these exhibitions. Ice Sculpture Exhibition and Snow Sculpture Exhibition are located at two different places but they are near to each other. Ice Sculpture Exhibition opens until at night while Snow Sculpture Art Exhibition opens in the daytime. As such, we head to Snow Sculpture Art Exhibition first before going to Ice Sculpture Exhibition. There is an entrance ticket fee for Ice and Snow Sculpture Exhibitions respectively. It is very expensive considering, these exhibitions are held for 3 months only. Do expect the entrance fee costs between RMB200 to RMB300 per person for each exhibition. It is very cold in Harbin. We never experience the coldest winter in our lives which can drop to -30 C. Even though we wear many layers of clothing including thick skiing gloves, we still feel numb and freezing after staying outdoor for sometime. That's the torture feel of freezing in Harbin. Traveling by domestic flight is very expensive in China. We want to get some local experience by traveling and sleeping on the train from Beijing to Harbin. It takes more than 10 hours train ride thus, we decide to book soft sleeper bedding in a private room for a comfortable ride. It is smooth, comfortable and clean rides throughout our journey. Shower is prohibited on the train but the water supply is sufficient for us to brush our teeth and go to bathroom business. Hot water vending machine is available to make hot drink and noodle soup in the cup.